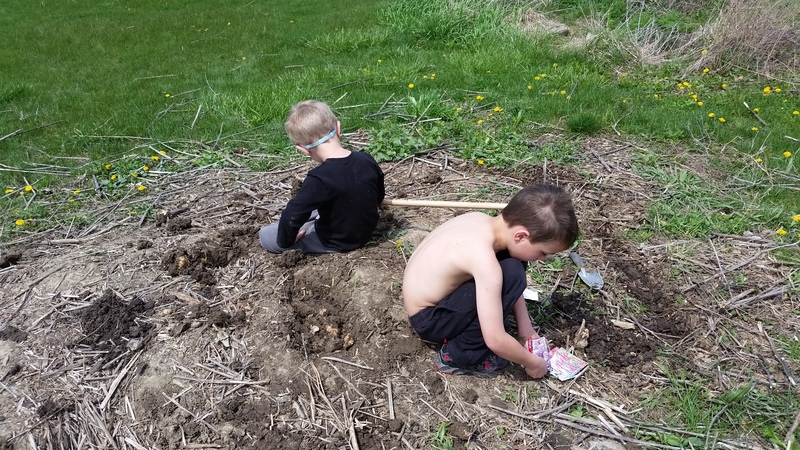 Yesterday, the boys planted a “secret hideout” using mammoth sunflower seeds. They planted the seeds in a ring and then planted flowers, watermelon and broccoli inside. While they were busy planting and plotting, I knelt in my own secret hideout. I planted spaghetti, acorn and pattypan squash around the base of the squash arch. Today, I’ll plant the morning glory seeds I soaked overnight around the outside. I can’t wait to see what the arch looks like in a month. I planted alyssum around the edge of the garden and transplanted a few more tomatoes. 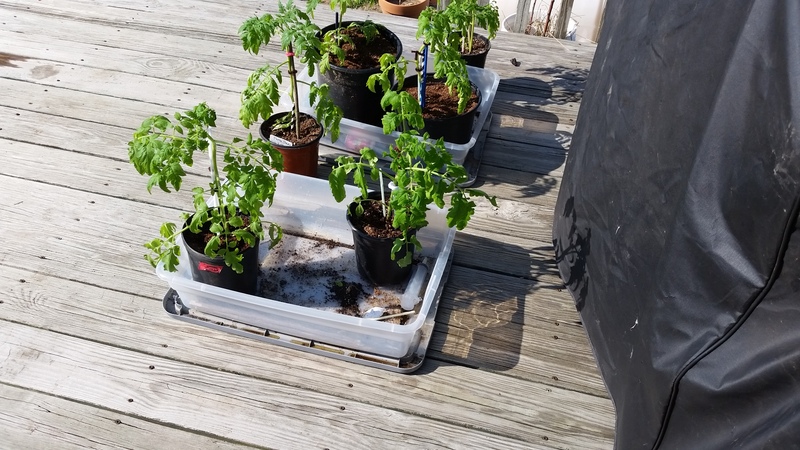 The ones I planted on Monday were very sad from wind and frost. I’m still hopeful they will bounce back though. I planted the globe amaranth I had started indoors, as well as the purple basil in the herb spiral. There is still no sign of the cilantro and basil I planted a few weeks ago. I planted the last pepper. I do not know what kind of pepper it is. I really must figure out a way to label better. My masking tape ends up falling off and my labels fade, even when I use a permanent marker. I know it could be a sweet chocolate pepper, a jalapeno or a hungarian hot wax. The tomatoes are the same. The pink boar’s all kept their masking tape on, but the crimson sprinters and mortgage lifters shed theirs when I wasn’t looking. I have this problem yearly. It seems like it would be an easy enough thing to do, labeling plants, but for some reason I cannot seem to get it. Oh well, I like a surprise. This entry was posted in A to Z Blog Challenge, For the Kids, Garden Stories, Life, Poetry, Writing. Bookmark the permalink.